Container liner shipping is about matching spare capacity to cargo in need of transport. This can be realized using cargo flow networks, where edges are associated with vessel capacity. 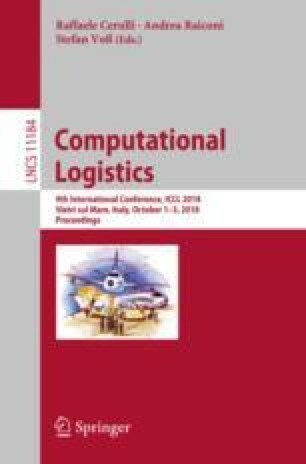 It is hard, though, to calculate free capacity of container vessels unless full-blown non-linear stowage optimization models are applied. This may cause such flow network optimization to be intractable. To address this challenge, we introduce the Standard Capacity Model (SCM). SCMs are succinct linear capacity models derived from vessel data that can be integrated in higher order optimization models as mentioned above. In this paper, we introduce the hydrostatic core of the SCM. Our results show that it can predict key parameters like draft, trim, and stress forces accurately and thus can model capacity reductions due to these factors. This research is supported by the Danish Maritime Fund, Grant No. 2016-064.